At Kandoo, we’re all about raising confident kids. 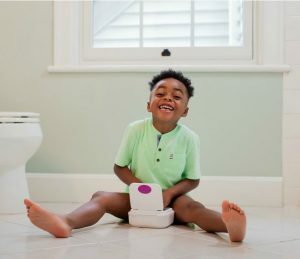 Whether that means they’re confident in getting themselves dressed every morning, pouring their own milk, potty training, or even learning a new language, we want all kids to approach life with an I Kandoo it attitude. How do we instill confidence in our kids? In addition to taking the time to empower our kids to be independent, research shows that teaching kids another language can increase their confidence levels and actually help them do better in school, become better problem solvers and even increase their creativity. Kandoo has teamed up with Little Sponges®, a Bilingual Immersion™ program, to empower parents to teach their kids another language. 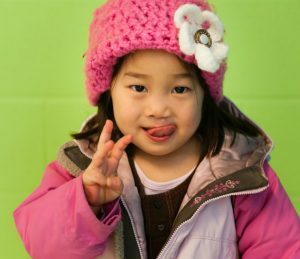 Through the use of puppets, engaging storytelling, interactive practice and relevant videography, Little Sponges covers key preschool and kindergarten topics providing great supplemental material for schools and parents who are teaching their “little sponges” and preparing them to thrive in the globally connected world. 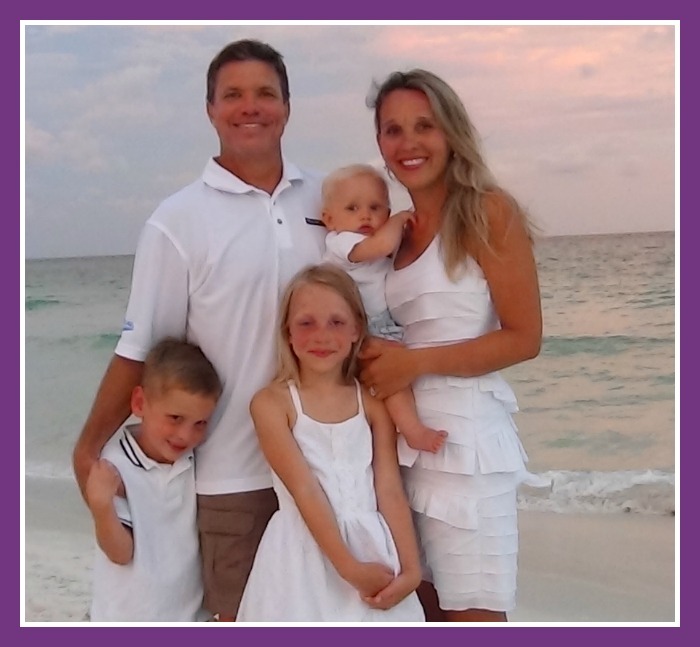 Founder of Little Sponges and mother, Natalya Seals, has seen the results with her own kids. Natalya is a Russian native, but quickly found that it wouldn’t be as easy as she thought to teach her kids to speak Russian. After trying a classroom program and a flashcard system, Natalya took matters into her own hands. “I knew I had to make language learning fun & effective if I wanted my kids to grow up multilingual,” said Natalya. She researched. She read. She met with language and early childhood experts. She researched some more. she created a new video-based teaching method that was different from anything else out there. Her kids were hooked and begging for more. Even her husband who’s been trying to learn Russian for years found it very helpful! What started out as a way to teach her children Russian has morphed into an immersive bilingual program that covers key pre-school and kindergarten topics and offers English/Spanish, English/French, and English/Russian. Each language program includes native speakers, 2,000 vocabulary words and useful phrases in 30 learning videos and enough content to supplement world languages world languages and ESL/ELL curriculum for up to two years. Parents can visit Little-Sponges.com to watch demo videos. Once you purchase, you have access to the entire program in the language of your choice. Little Sponges has been proven to increase language retention rates among children by 300%. It gives parents the ability to facilitate effective language learning for their children anywhere, anytime and on any device! You can stream the Little Sponges videos in the car on the way to a playdate, while you are waiting at the doctor’s office or ask the nanny to watch them with the kids while you’re at work. 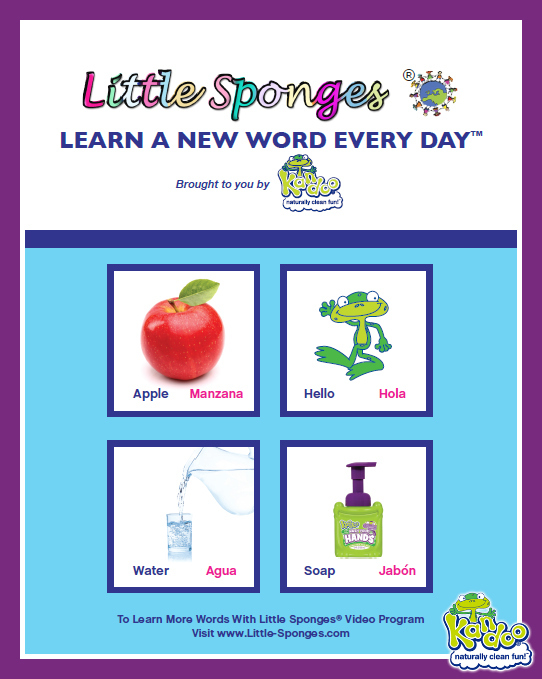 In a recent case study, the Little Sponges® program delivered a 300% increase in language acquisition when integrated into the curriculum. This data is being used to help schools around the world make decisions on how to shape their language curriculum for preschool and kindergarten students. “Because the videos include English and another language, they can also be used to teach children English. Several schools are licensing the program to teach English to ESL/ELL students while teaching Spanish to Native English speakers in the same classroom. This creates an atmosphere in which every child is valued and included and every child can reach their full potential,” says Natalya. In the meantime, you can download this poster to get your kids started. Still not sure if there’s a benefit to teaching your kids another language? This infographic outlines the research.